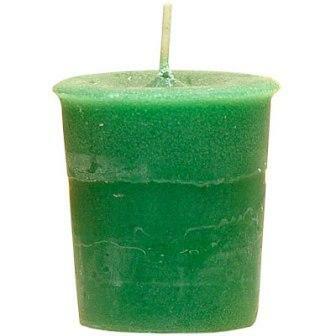 Rainforest scented votive candle. Blending assorted floral fragrances with a hint of a tropical, fruit aroma, these votive candles will help turn your sacred space and home into a tropical, wooded sanctuary. Once you experience Crystal Journey votives, you will no longer believe that all votives are the same. There is no mystery behind the success of Crystal Journey Candles votives. They are renowned for their quality using highly refined waxes so pure they’re considered food grade, wicks constructed from cotton and paper, the finest essential oils, and hand crafted in Essex, Connecticut, USA.